Hi Mimi, I like the simplicity of your recipe. 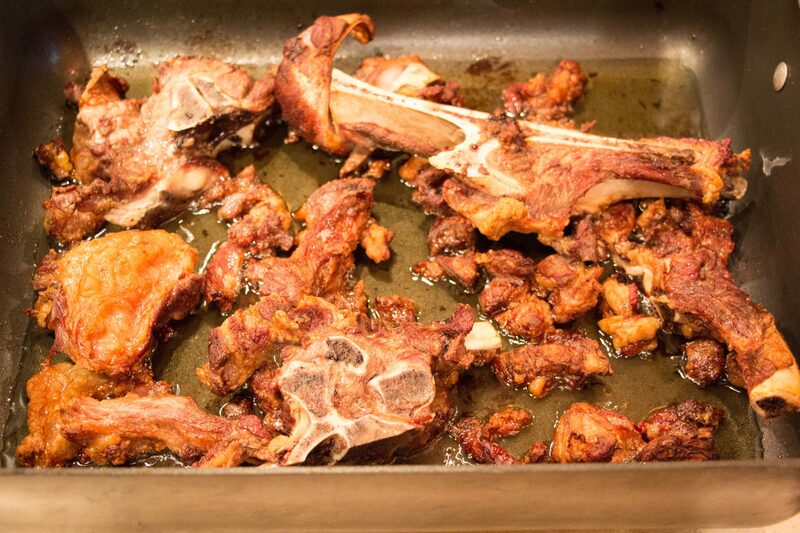 I think it’s important for the flavor to use bones with some meat still attached, as you did judging from the photo. For sure, because it is very tasty and can for instance be used to brown the meat for your chili. I also use it to roast cauliflower and then serve it over pasta – yum! Very good Mimi, I have beef stock on my list. I plan to buy a big stock pot soon. They appear in the supermarkets here in the run in to Christmas (when everybody thinks they are a master cook) and disappear quickly after the reality of Christmas cooking is revealed. hahahahaha! That is so funny. I still have macarons on my list at Christmas time, and then, as always, Christmas gets in the way! interesting that you don’t add veggies, I like that – a pure beef stock. 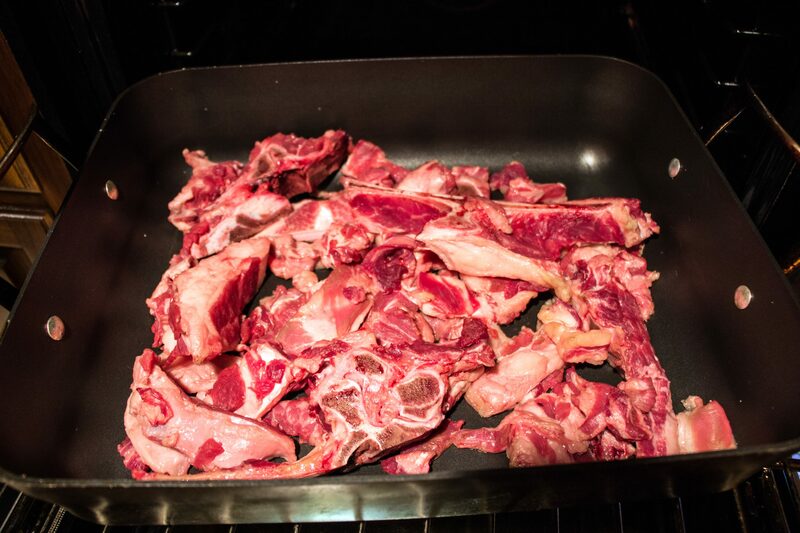 I use veggies when I make chicken broth, for beef broth I just do the meaty bones. I guess because I’d have to roast the veggies separately, and so I just keep it simple! Homemade stock is the best! 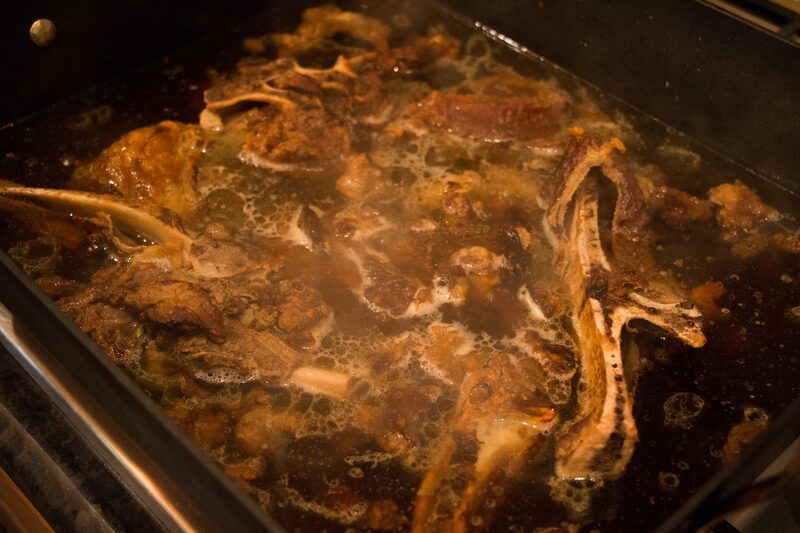 Roasting the bones, as you did, is also important in my opinion — a nice, deep flavored stock. It’s so easy to do, too! I’ve done this, and must say that the extra effort is more than worthwhile. I used my first batch to make real French onion soup, which was out-of-this-world delicious! French onion soup really requires a good broth. Great idea! I order marrow at restaurants. That’s how much I like it. I’ve never thought to order bones – I’ll have to see if that will work here! I find them at Alberstons here for $2.25/lb. I’ll have to look more closely! I will do it this way from now on. Always did it differently, thanks. There’s no reason to change if you like your beef stock! This is just an easy option! That’s why I like it, much easier. I make the beef stock/broth with the veggies roasted with the bones, then just tump all of it in water to boil for hours and hours. I also use a cheese cloth to strain. 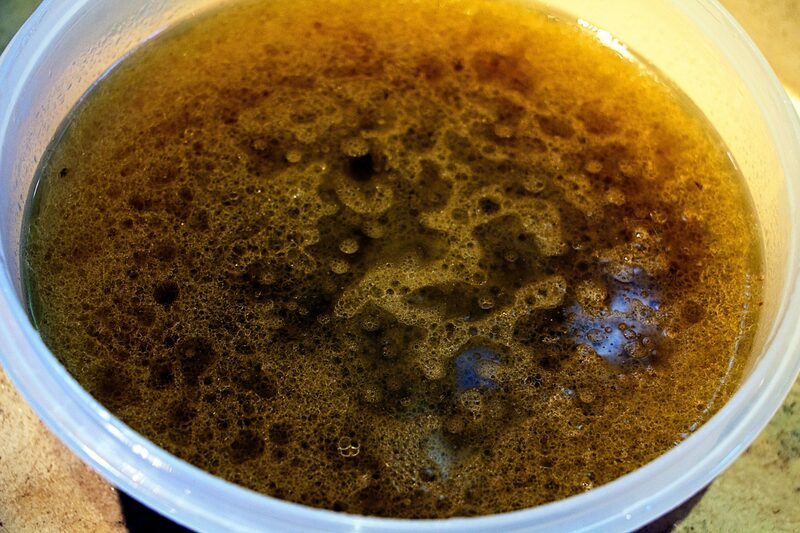 I have never tried a pure beef bone stock, I bet it’s delicious and rich cooked down like that. Any version works, doesn’t it?!! It’s just what you like. I usually do veggies in a roasting pan separately just because I don’t roast them at as high of a temperature as I do the meat. So maybe, that means I’m lazy, and just roast the bones for this stock! 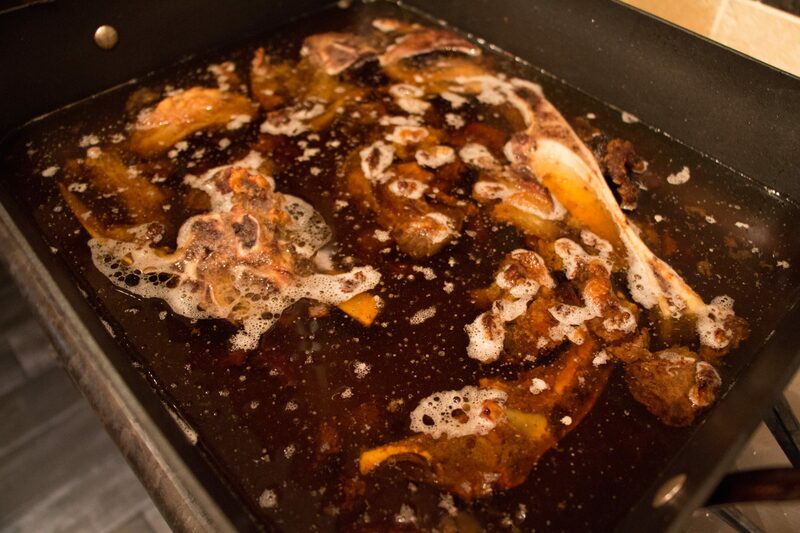 I have never deboned a roast but I would like to get my hands on some beef bones just to make this stock. I bet that chili was excellent using this broth. It was good. Nice and meaty tasting. I’ve never just bought bones, but I know you can. I’ll have to do that, too! Unless you have dogs who can eat leftover bones, I think this is definitely the way to go! As you know I’m a huge fan of little waste & of making homemade stock. I’m looking forward to our next batch of beef stock so I can make a big batch of Vietnamese noodle soup (pho). We had one at Noodle Station in Iceland this summer that was like none if ever tasted. Hoping to replicate it! In Iceland? Who’d have thought!!! Funny you mentioned pho, cause I have a recipe from F & W I was going to use to make it all from scratch. Just enjoyed pho at a little dump in Tulsa, Oklahoma, but boy was it good! And, of all things, at Whole Foods I discovered and purchased a carton of pho broth, just like chicken or vegetable broth that’s on the shelf. I thought I’d test it out as well!